While the fictional Tony Stark continues to wow movie goers as “Iron Man” on the Silver Screen, the US Department of Defense still takes the idea of an armored “super soldier” a bit more seriously. 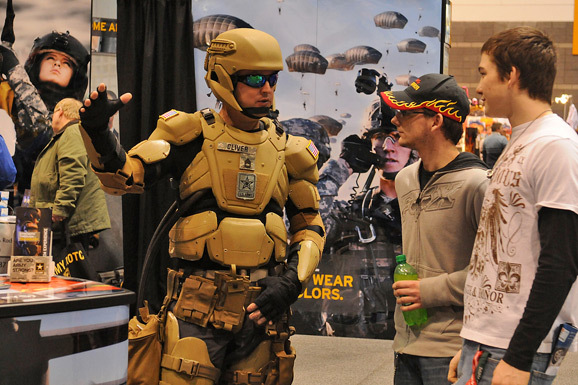 In 2013, the U.S. Special Operations Command issued a Broad Agency Announcement (BAA) for proposals and research in support of the development of Tactical Light Operator Suit (TALOS). Solicitation Number: USSOCOM_RFI_ST(TALOS). TALOS is a USSOCOM effort to provide special operation forces (SOF) with enhanced mobility and protection technologies in a fully integrated assault suit. Some of the potential technologies planned for TALOS research and development include advanced armor, command and control computers, power generators and enhanced mobility exoskeletons. You can see a video relating to the TALOS Program at: https://www.youtube.com/watch?v=ePl9TC2ySUY. The goal of the BAA is to stimulate collaboration between the government, academia and industry representatives on the TALOS effort. Prior studies and analysis have determined a number of technical challenges exist for the SOF equipment that require improvements for missions into the future. Those challenges include trade space between weight, protection, power, and mobility, cost and system component integration.